For early Childhood education providers in Southwestern Pennsylvania, many who operate on shoe- string budgets, it’s a moral choice rather than a fiscal one to provide quality daycare services. 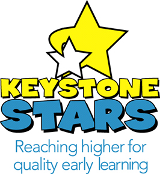 For this reason, when choosing a day care Norristown, PA, center to have your children attend, it’s important to take in to consideration what services they provide. According to Commonwealth of Pennsylvania, only 23% of kids who go to public care subsidies attend a program that is listed as “high-quality”, an unfortunately sad truth for a lot of the children in low-income families. The quality of what care a child is brought up in has a huge impact on how they learn, how they communicate, and their ability to learn how to properly socialize at a young age. First things first, make a list of the things you want out of your childcare provider. Whether you want there to be teaching aspects to the daycare or a proper amount of one-on-one attention, like we do at The Willow School, your list will help you singularize which provider works best with your family come the time to choose. It’s also important to choose a child-care provider that allows for the amount of parent involvement that you see fit for your child. Some daycare’s have a strict regimen to parent involvement, others have looser rules, so choose accordingly. There are plenty of reasons to choose a quality child care facility, a lot of which aren’t as obvious as one would presume. The schools readiness to involve the child both in teaching scenario’s and social situations will help your child to progress in order to be ready for a real school setting, whether that be a public, private or charter school. Daycare providers with low teacher to student ratio’s end up with your child being neglected, a fear every mother has when they have to decide to use a provider in order to attend to their child. The program that fits your family perfectly will take into account your cultural accommodations, if any, so keep in mind there’s no need to give up anything you want in your childcare provider in order to “settle”. The safety of your child is above all, so preparing your child for a daycare situation that allows them to still receive enough attention and focus is desired when it comes to childcare facilities. The Willow School Pa, offers an exceptional child care Norristown pa program that can suit both the parent’s and child’s needs. With a safe, exciting, and comfortable environment your child will be ready for whatever school they head too, both emotionally, academically, and even socially.